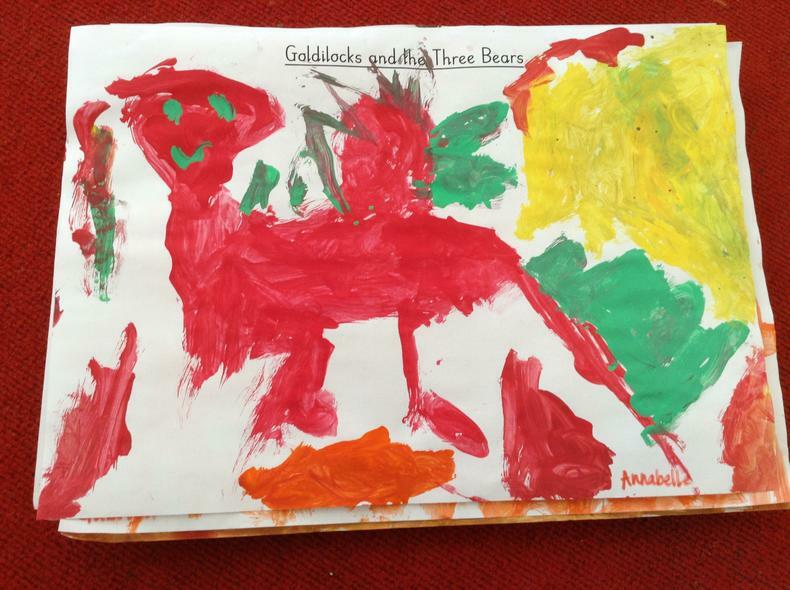 We were so lucky to have the author and illustrator M.P. 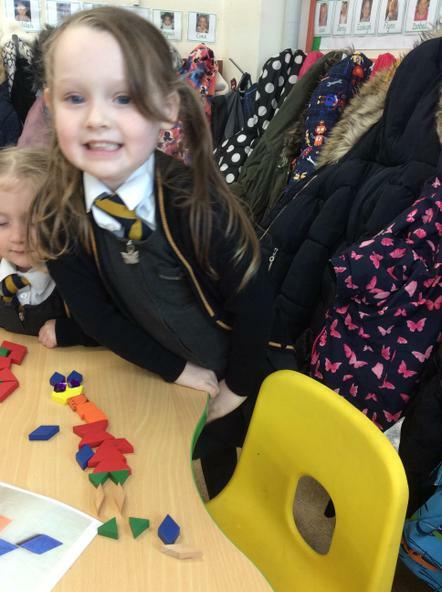 Robertson come to visit our school. 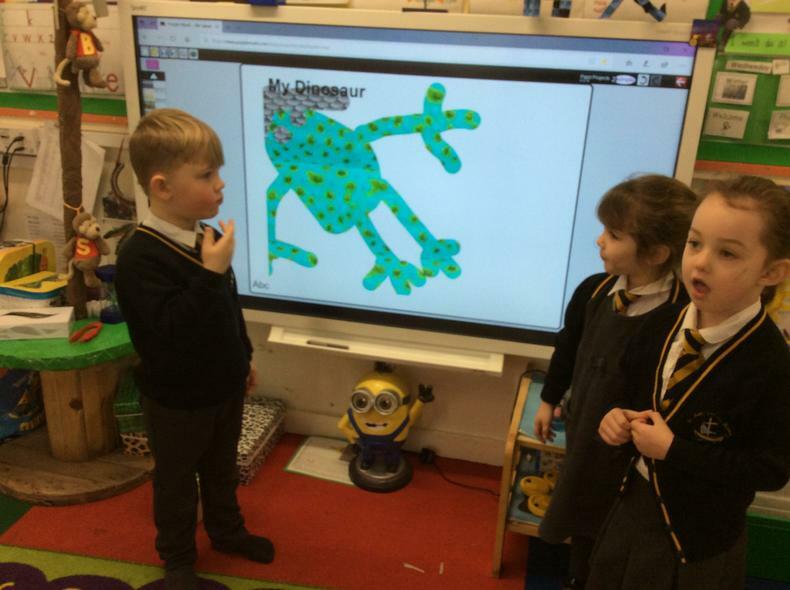 We all enjoyed the assembly with him, and then he came to our classroom. 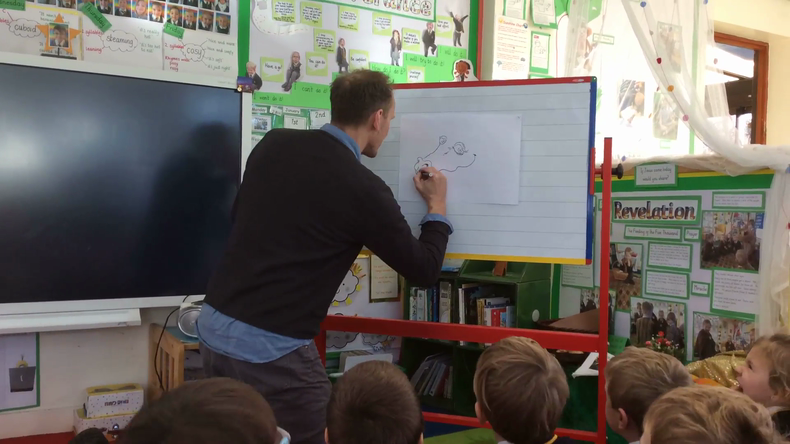 He drew a picture for us - it was amazing! 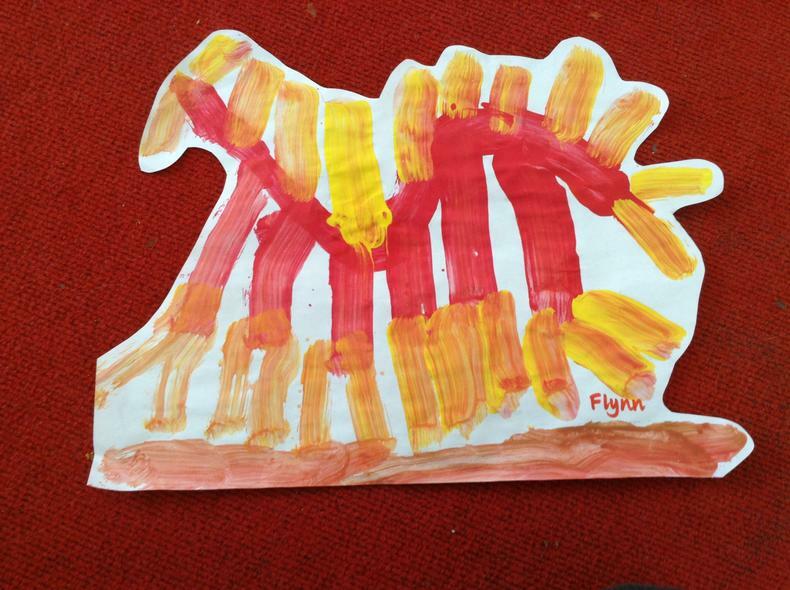 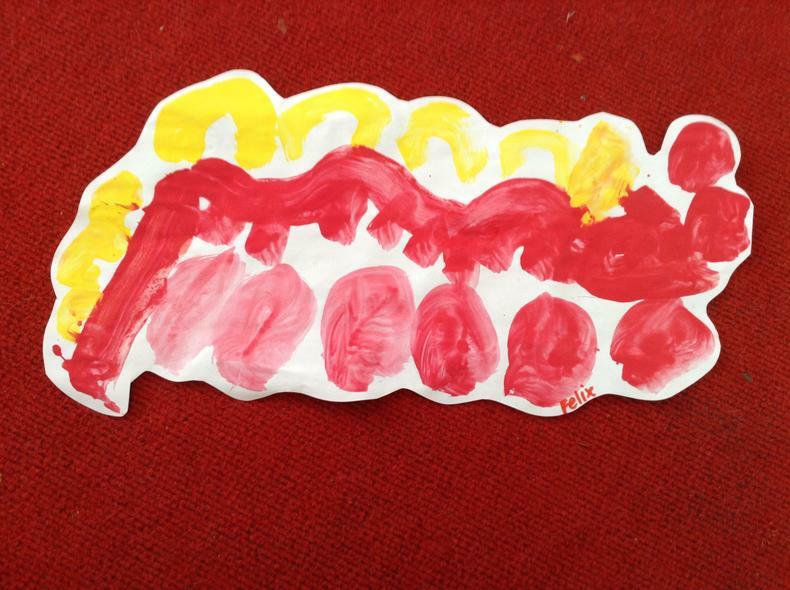 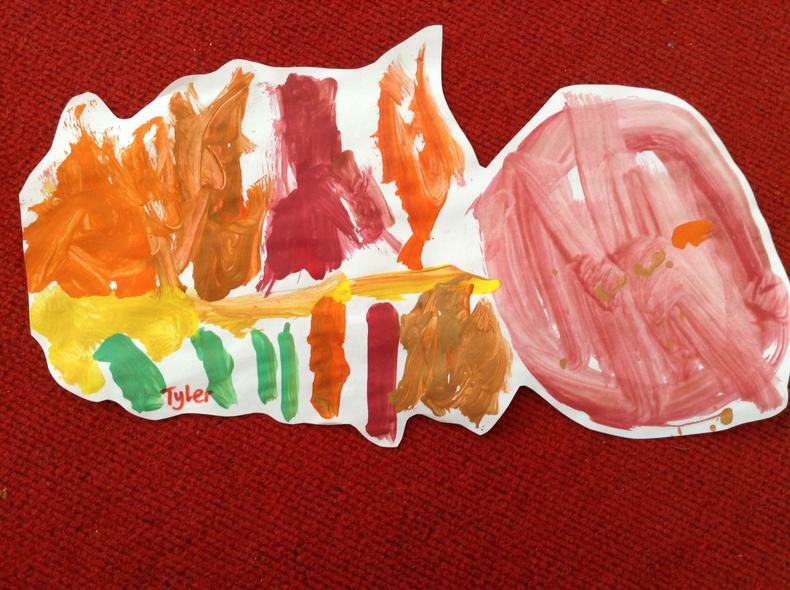 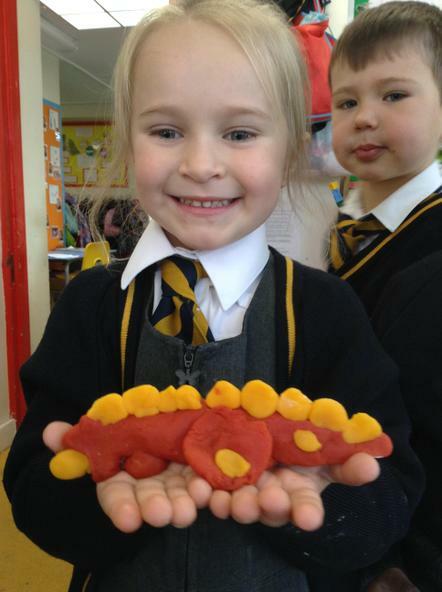 Mr Robertson asked the children if they could think of a good fiery name for the dragon. 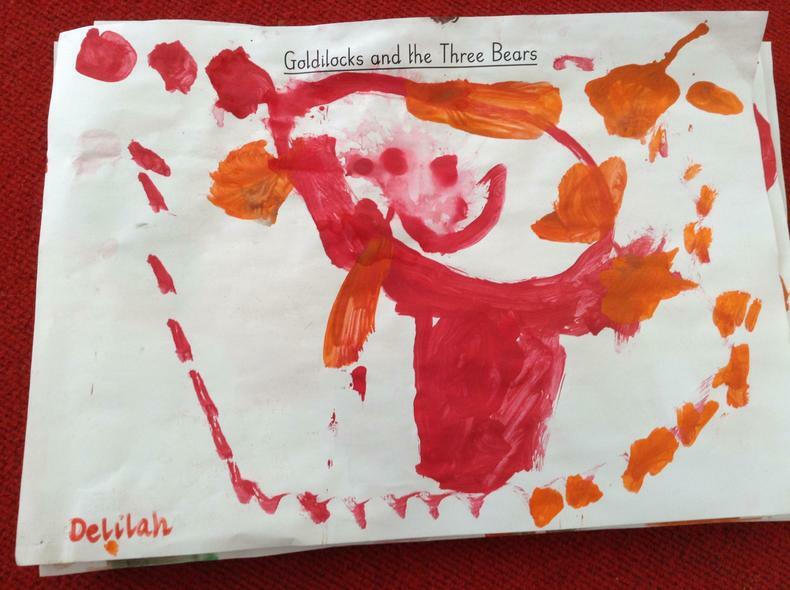 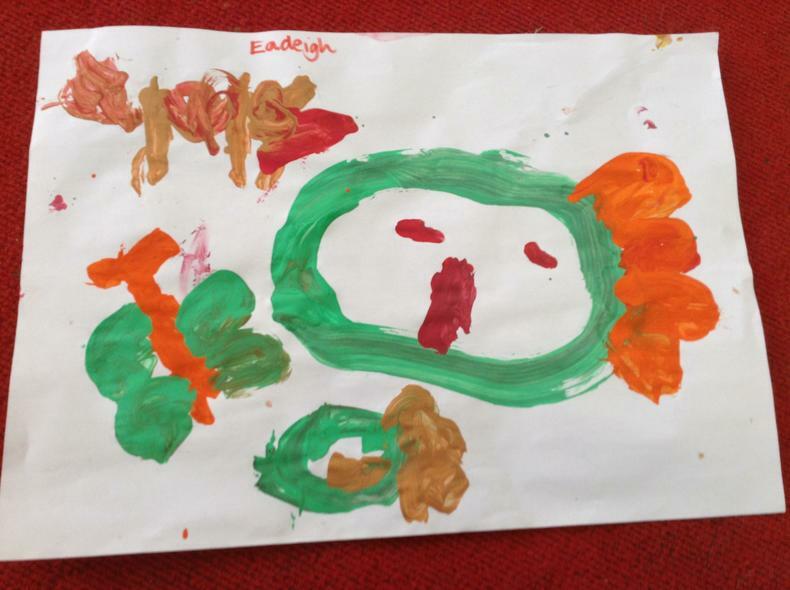 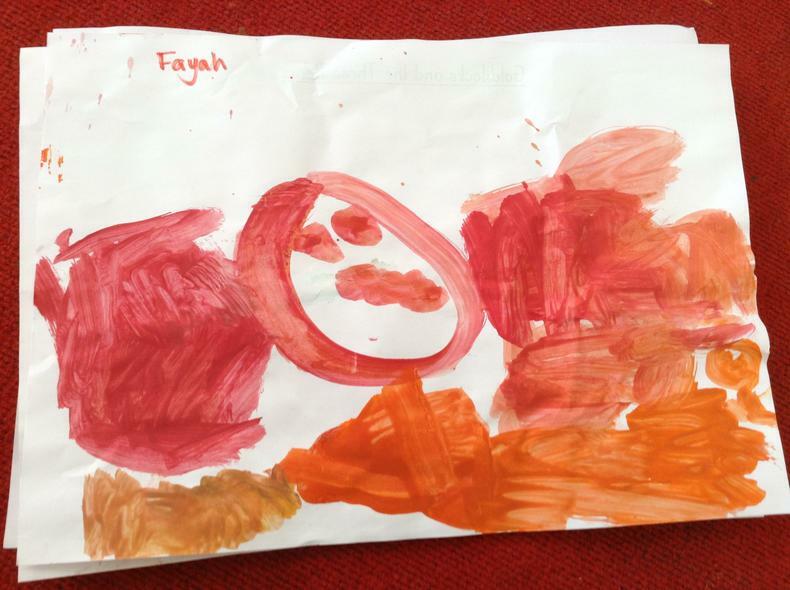 The children thought of all sorts of names when we suddenly realised we had the perfect name just like one of the children in our class - Fayah. 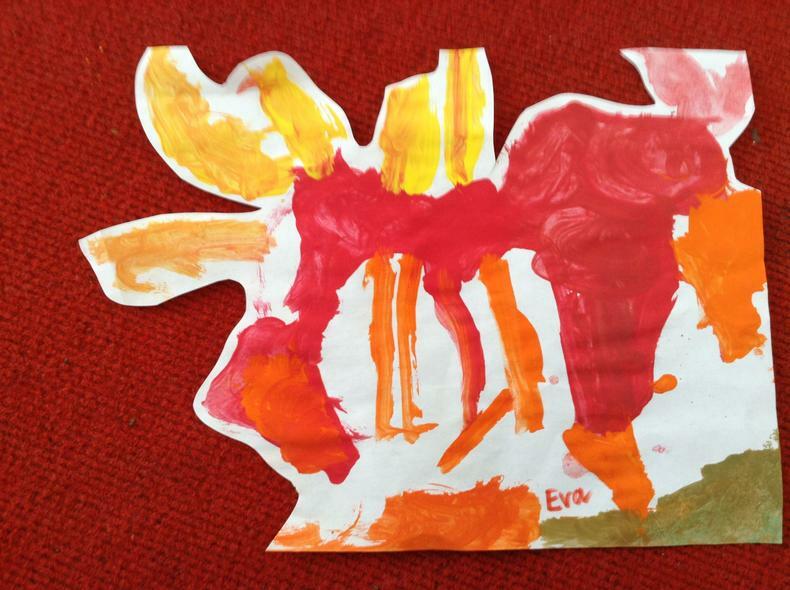 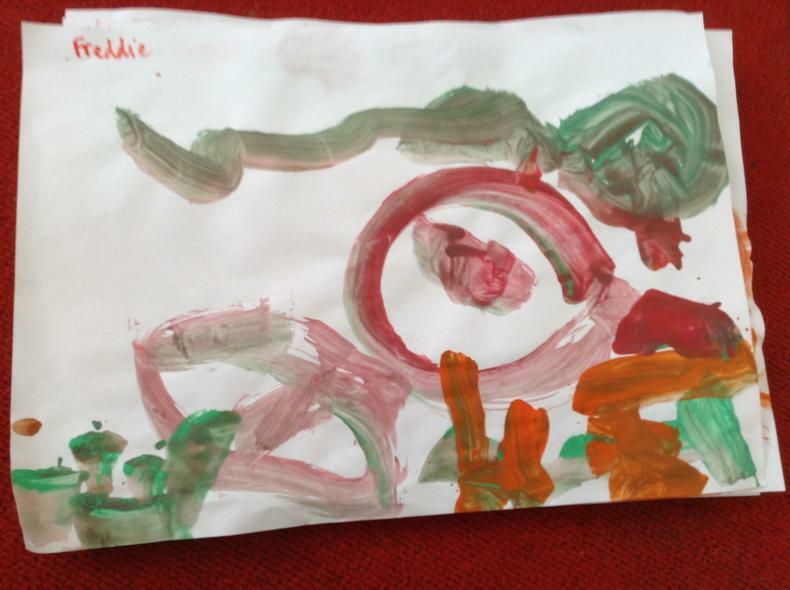 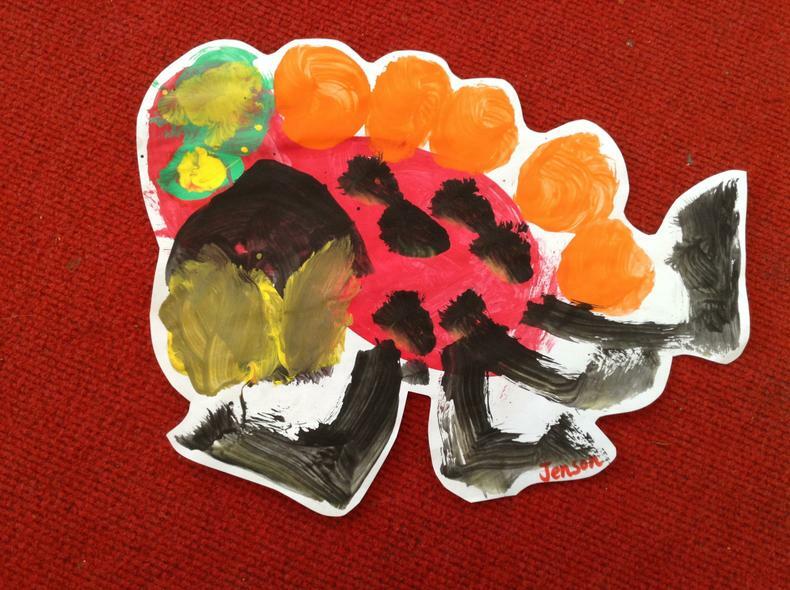 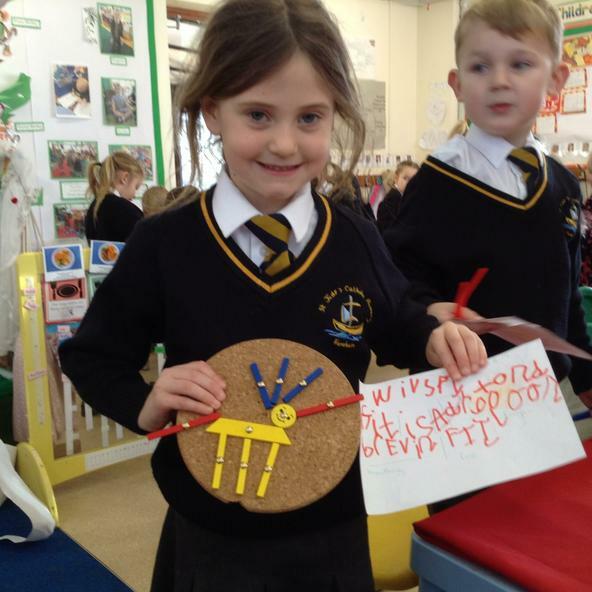 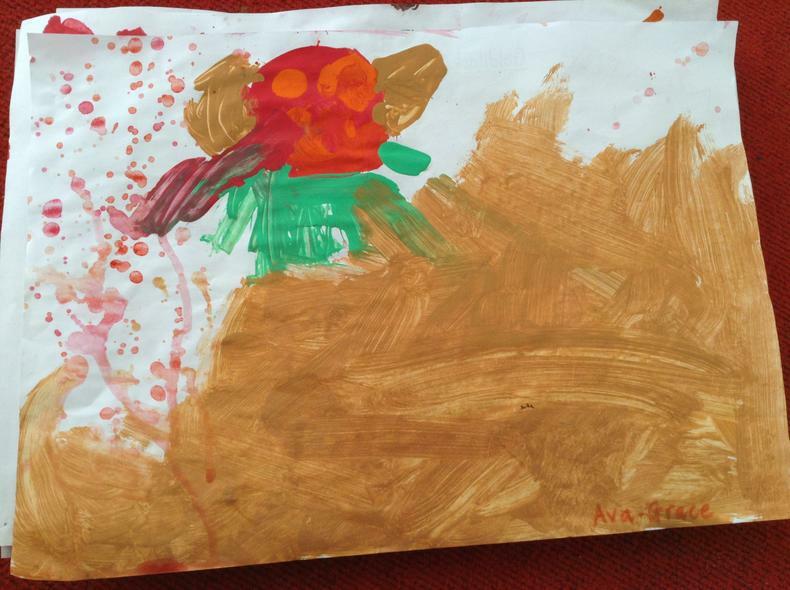 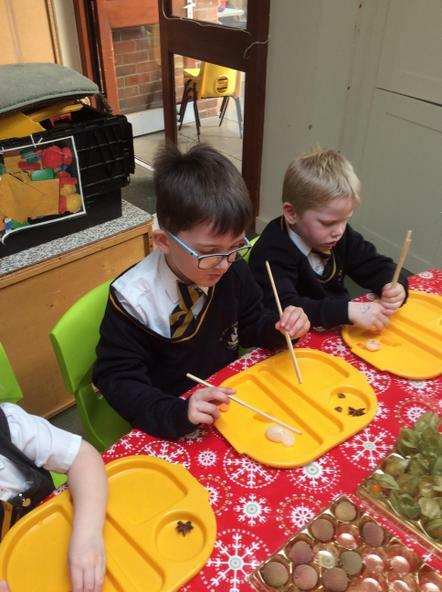 It inspired the children to draw and paint lots of their own creations. 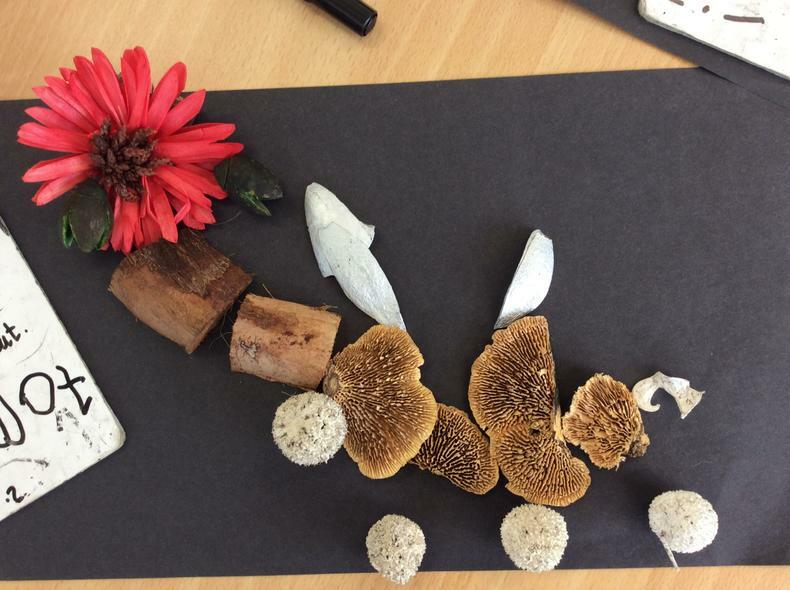 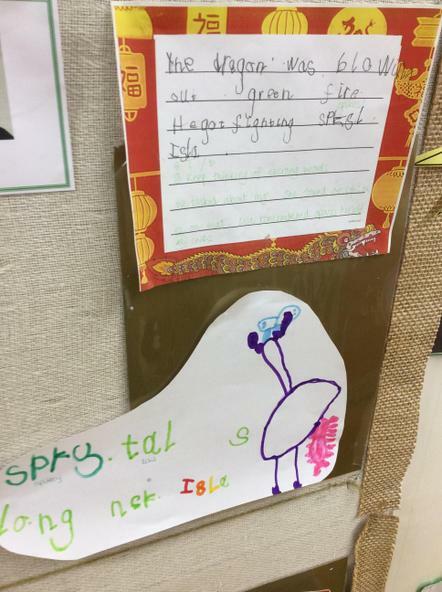 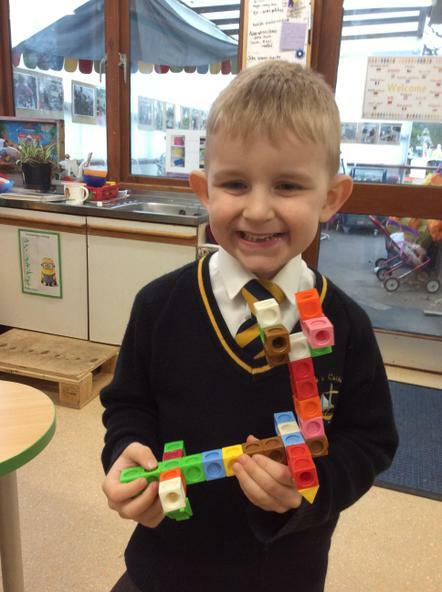 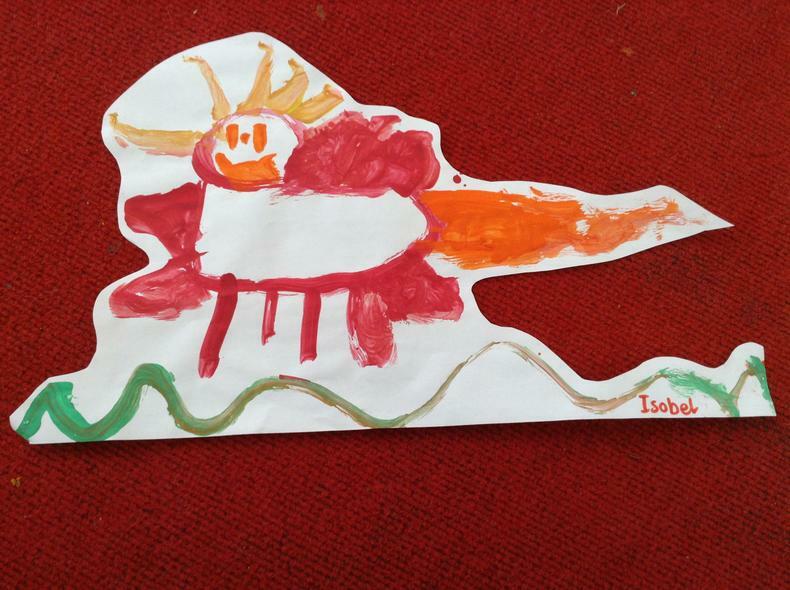 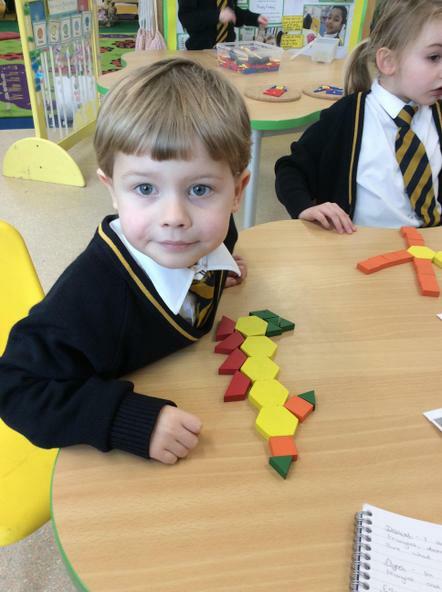 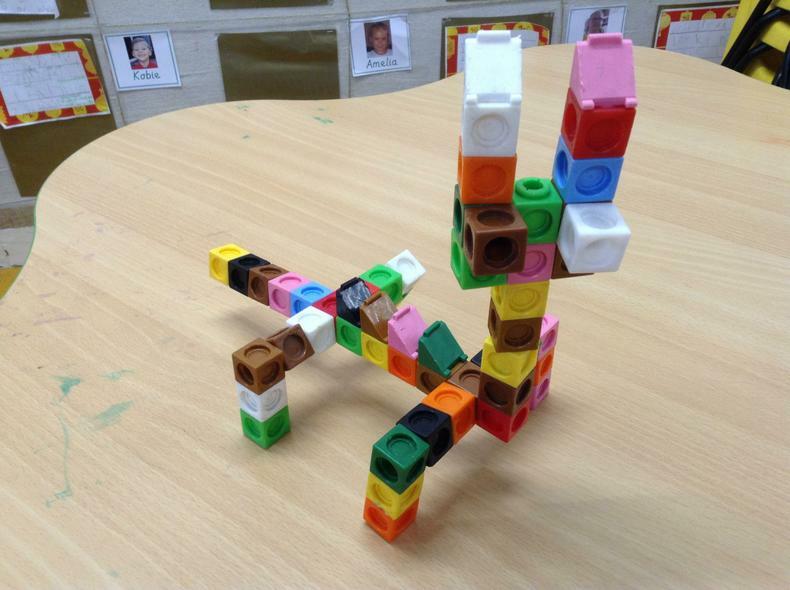 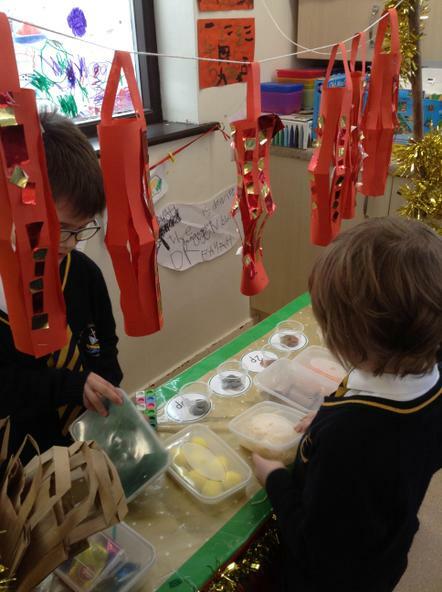 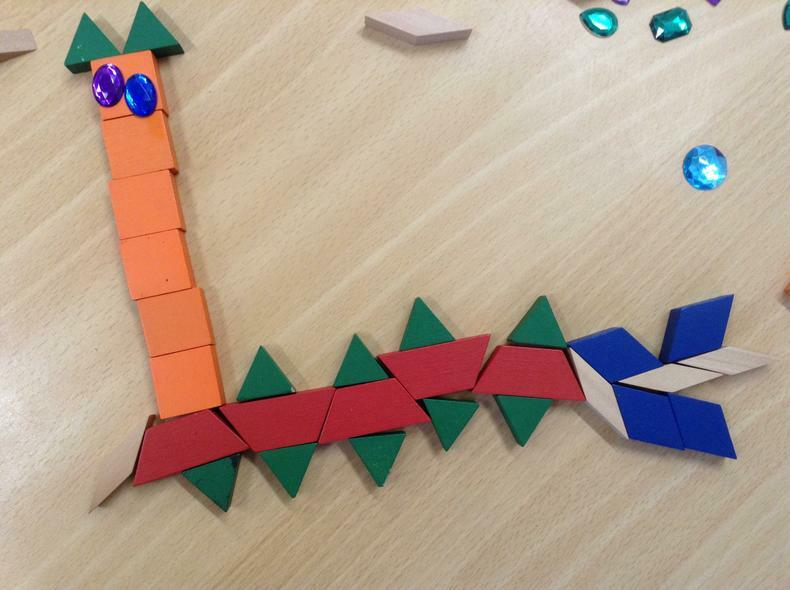 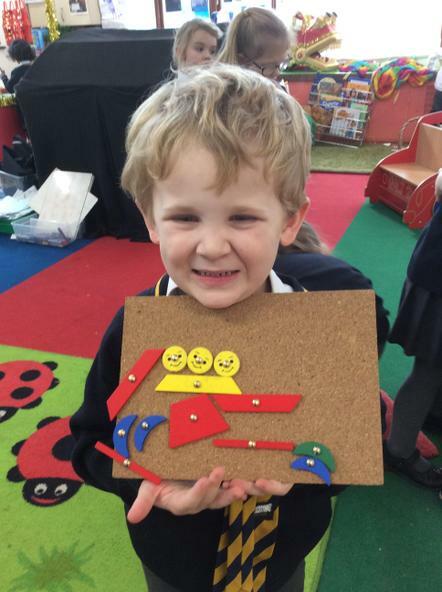 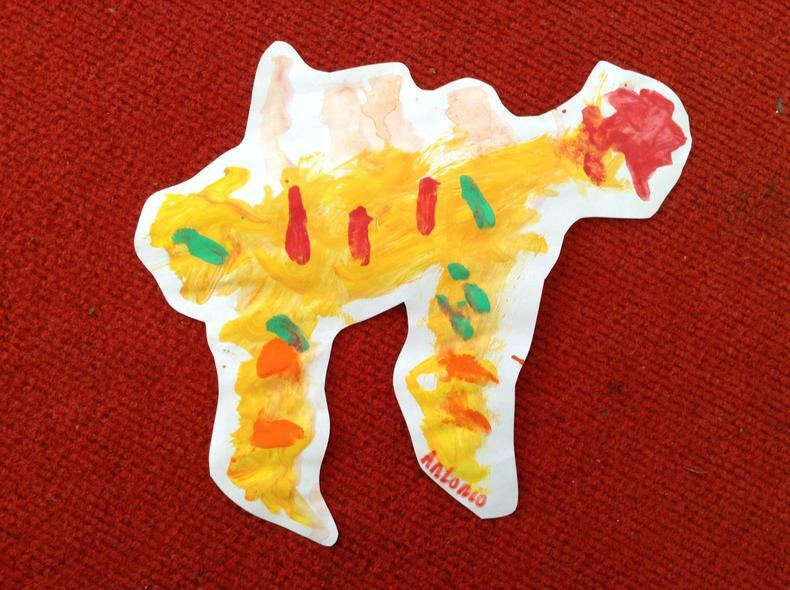 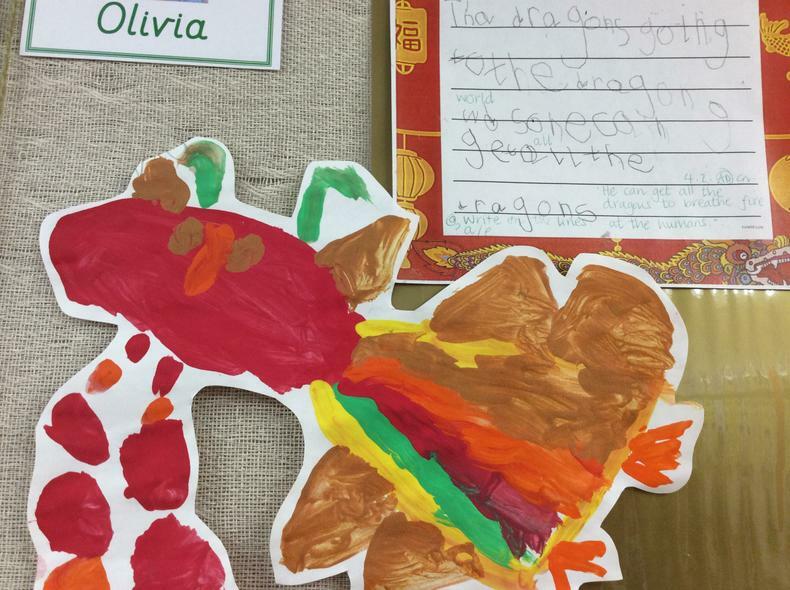 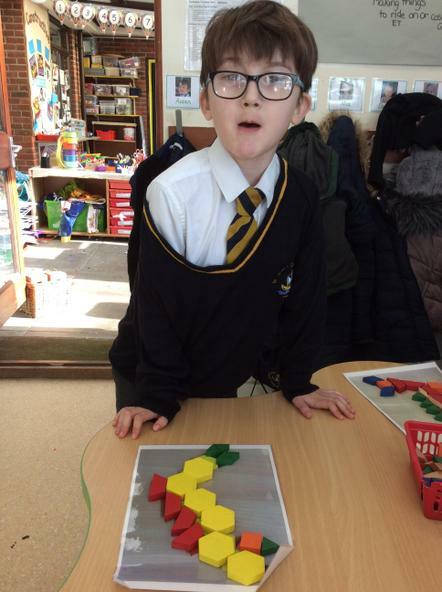 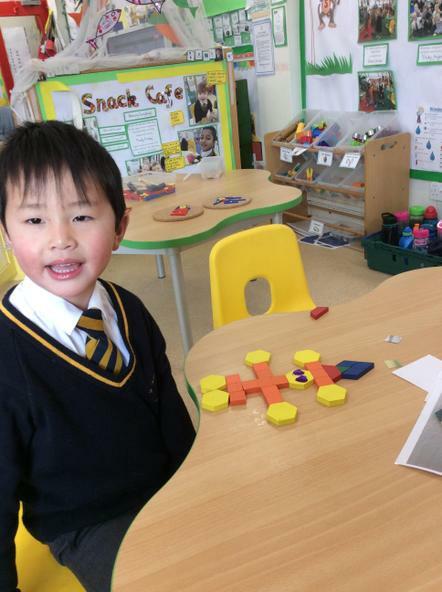 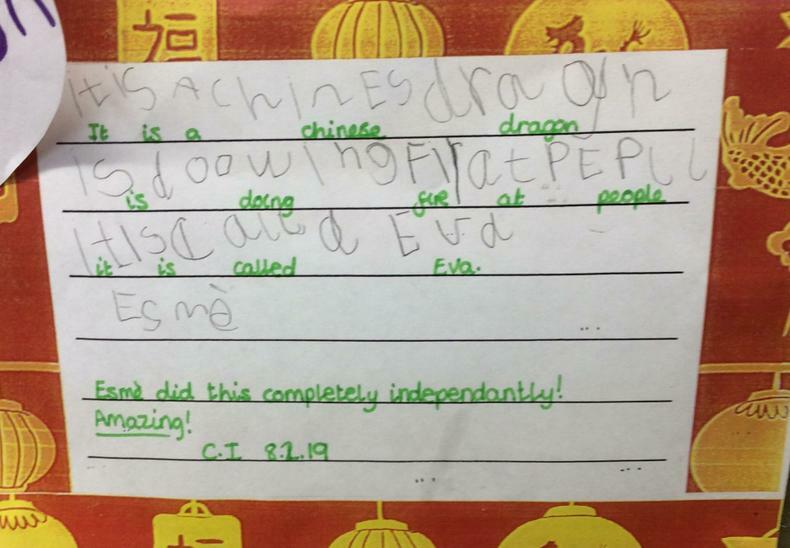 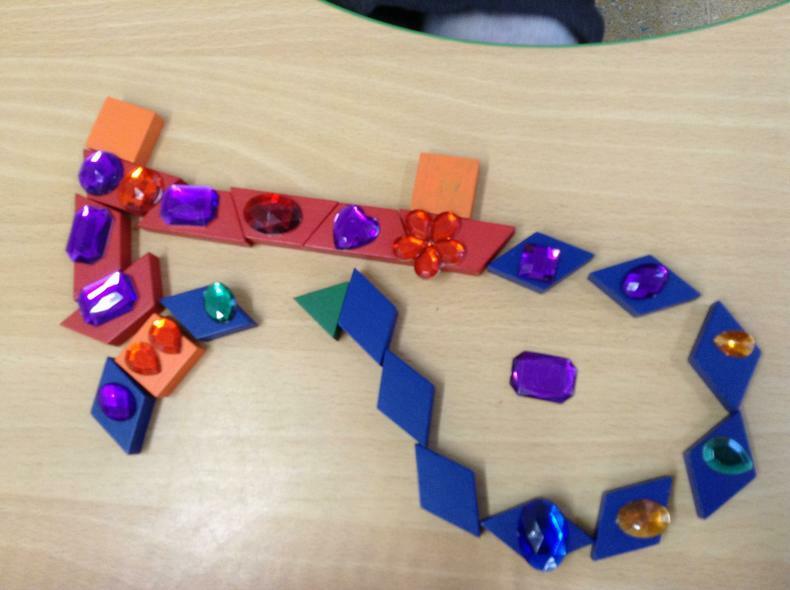 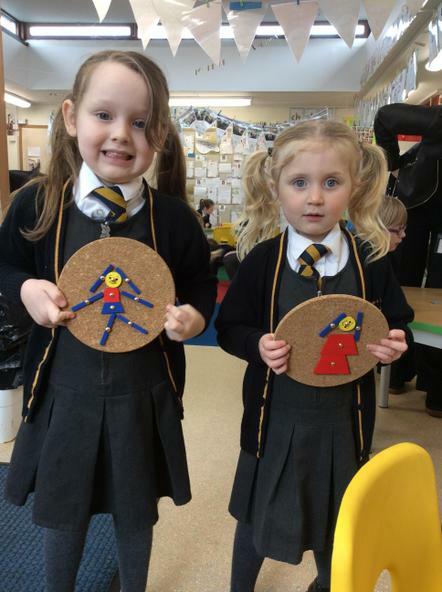 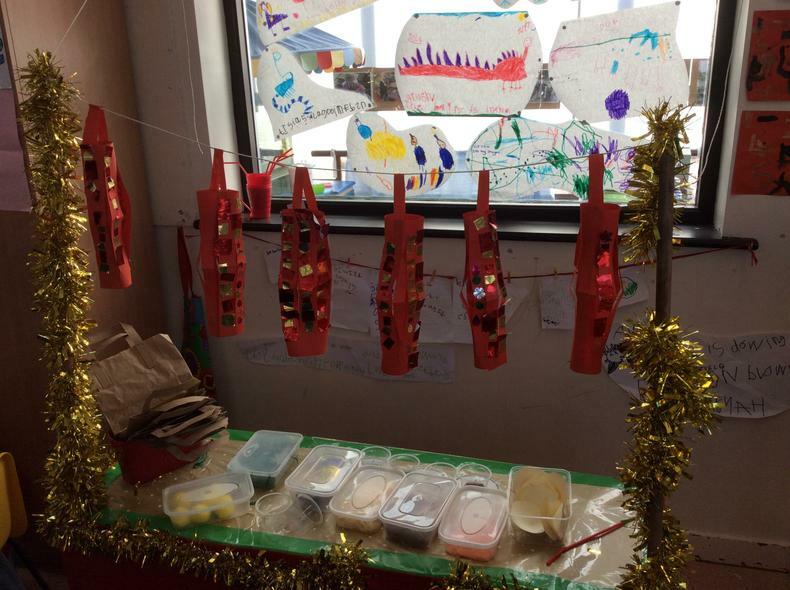 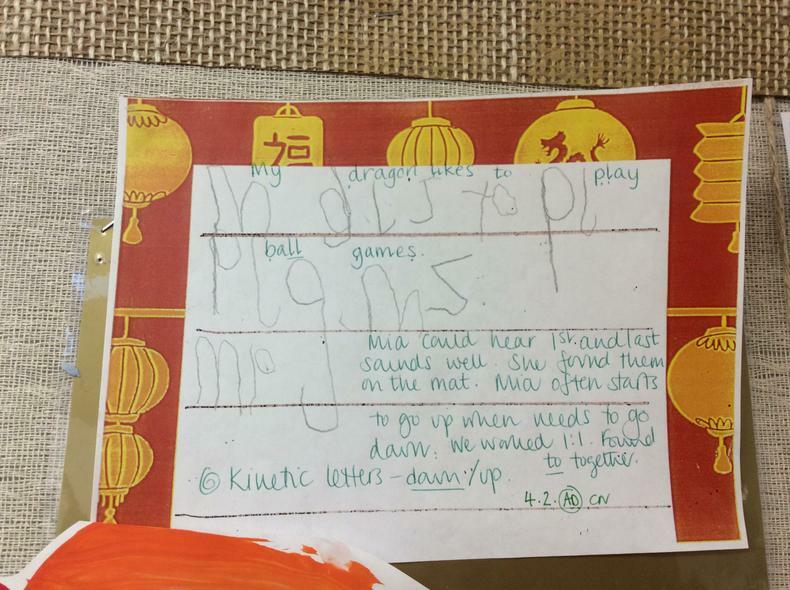 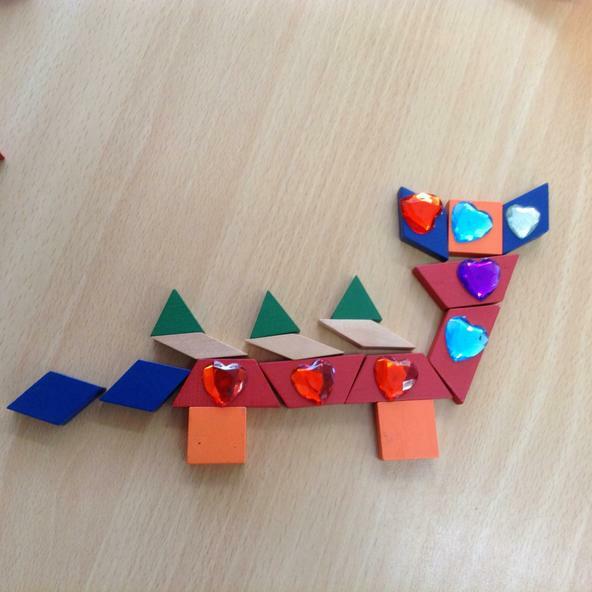 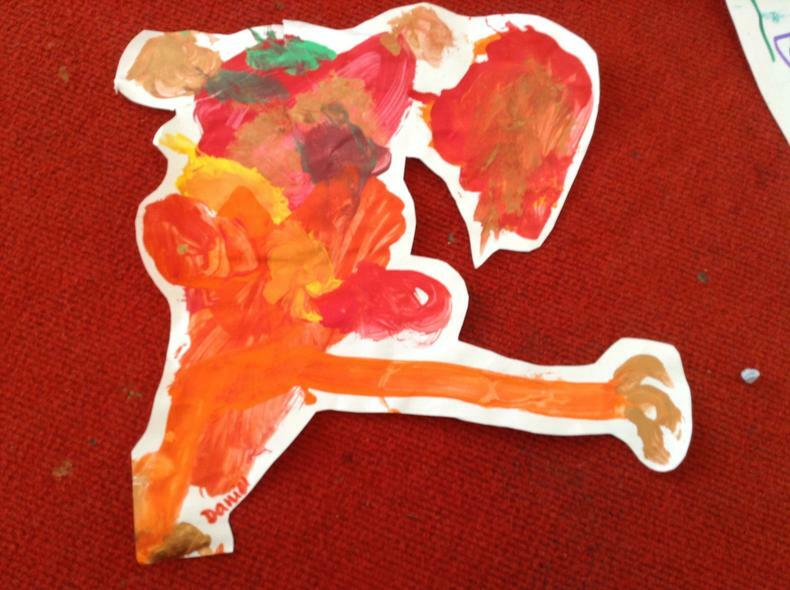 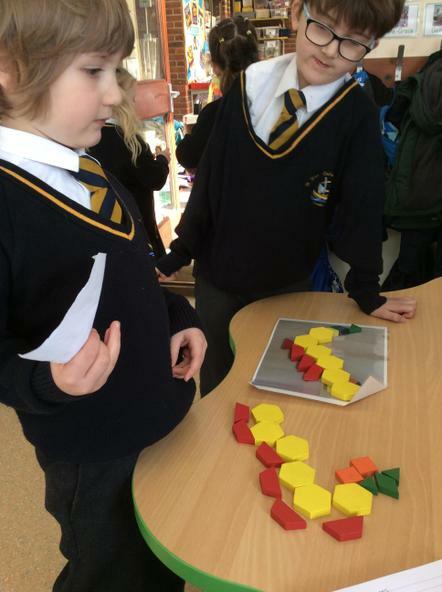 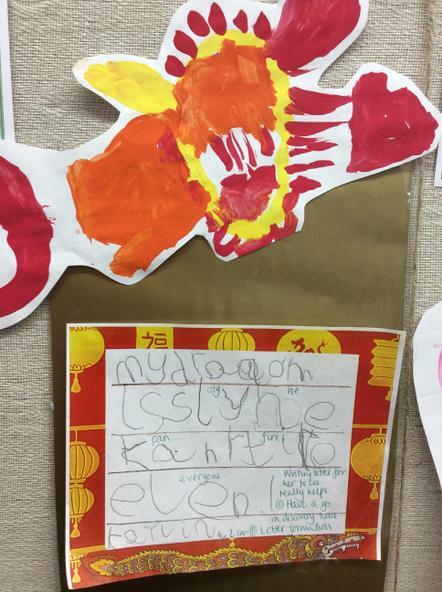 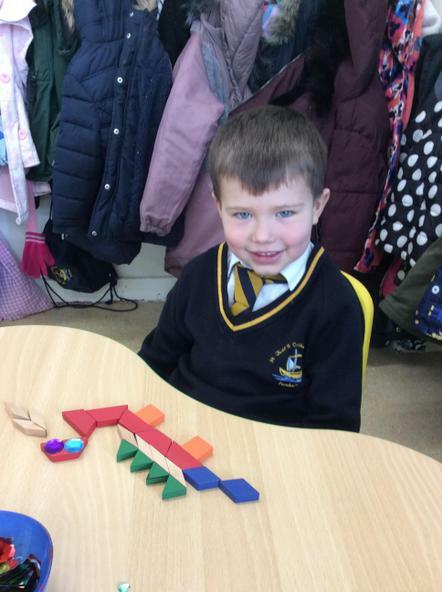 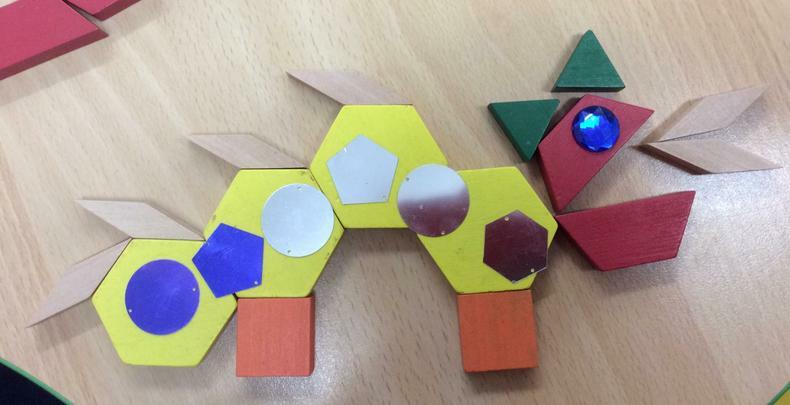 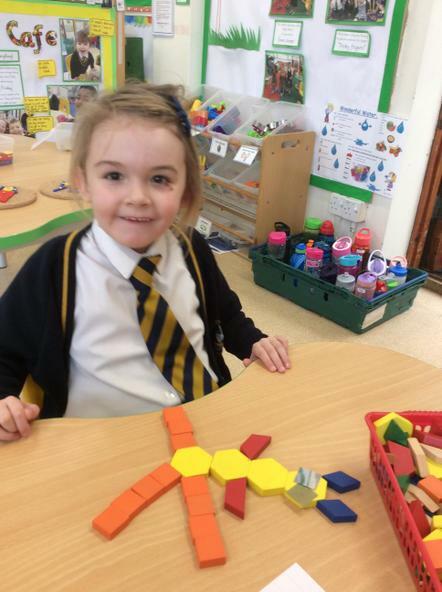 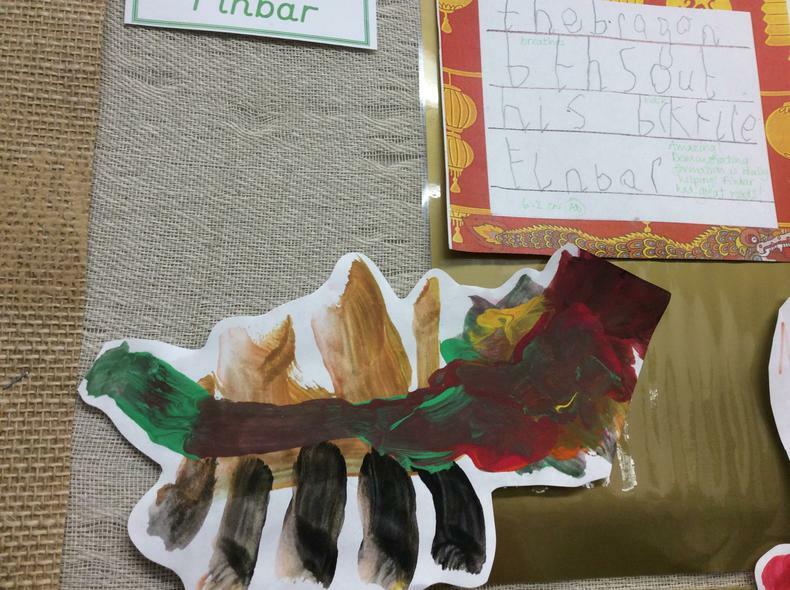 With Chinese New Year approaching we looked at images of Chinese dragons and the children explored using all sorts of materials to make their own. 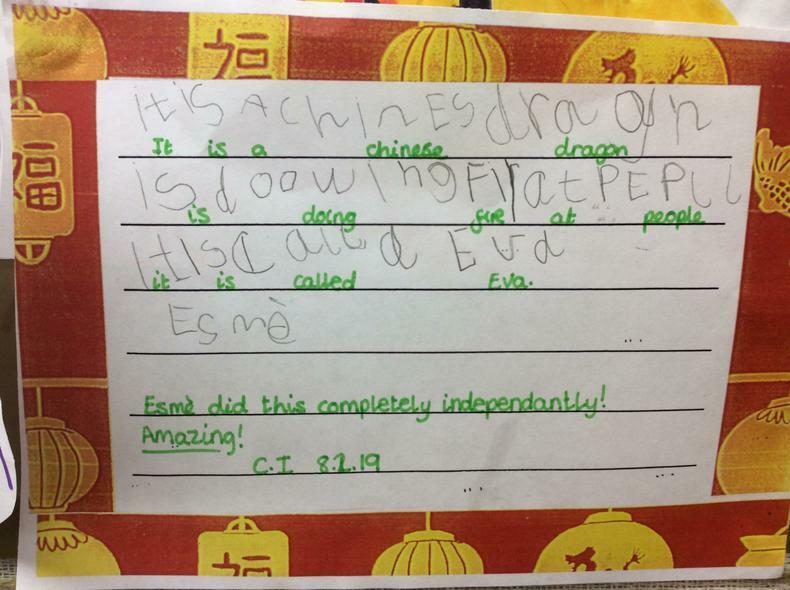 One of the children's family owns a Chinese Take away so we invited them in so we could try some Chinese food. 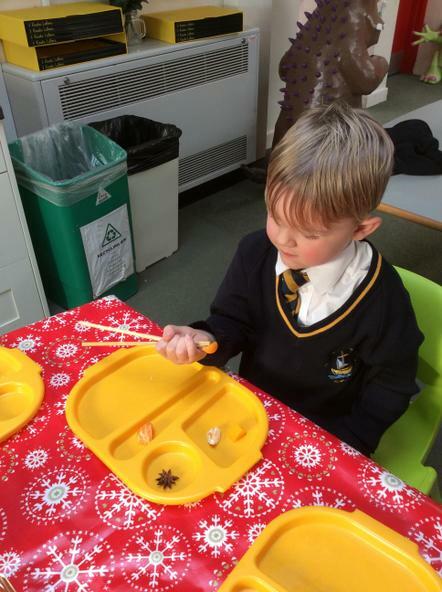 Mrs Wang showed the children how to use chop sticks, and everyone had a go at using them. 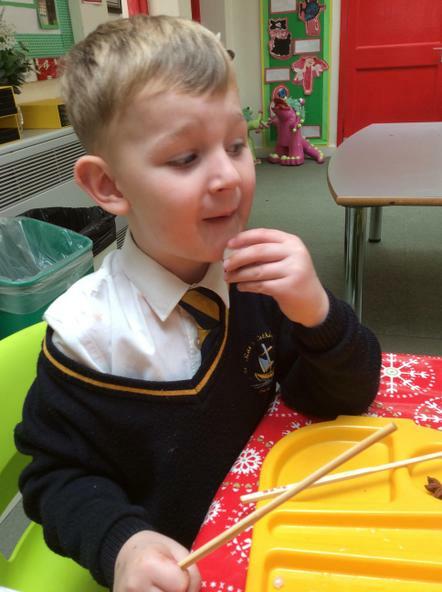 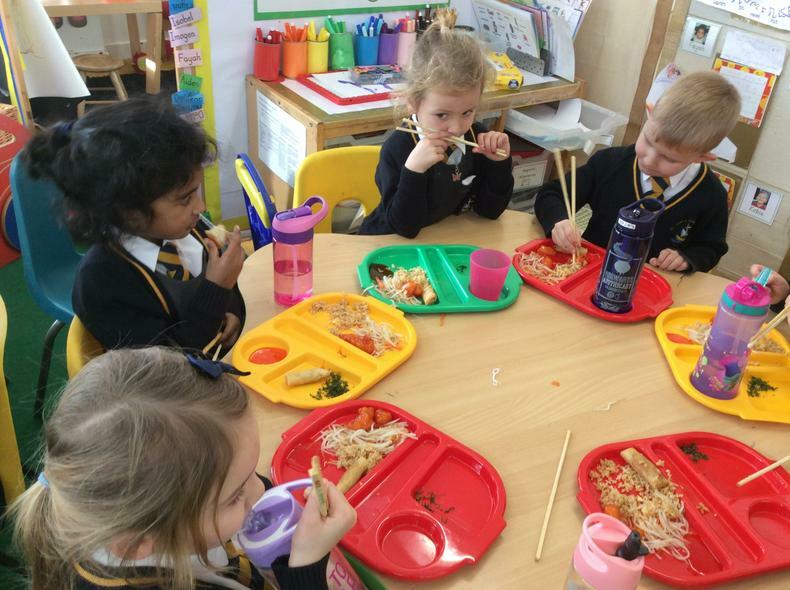 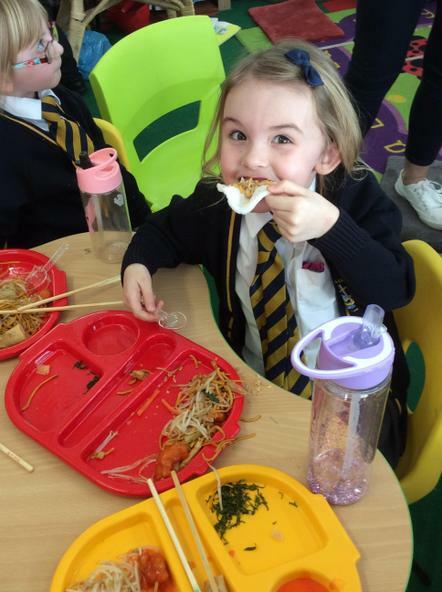 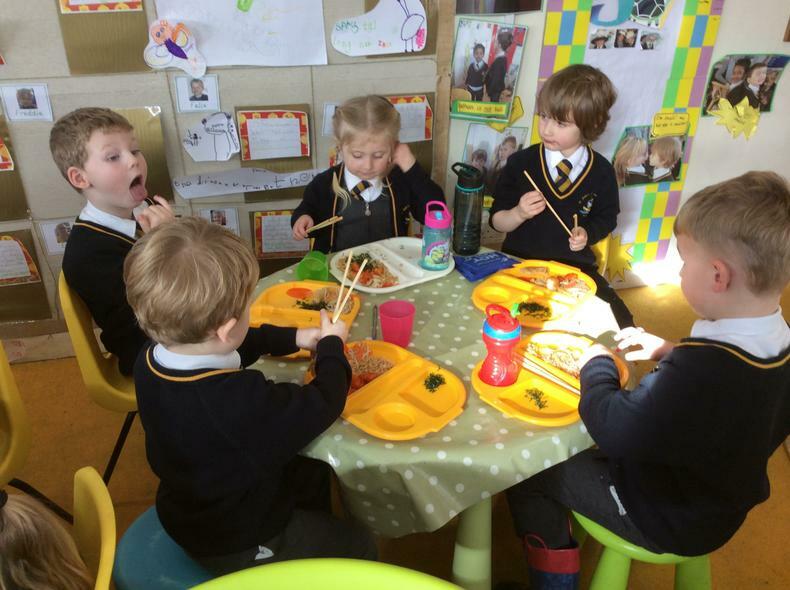 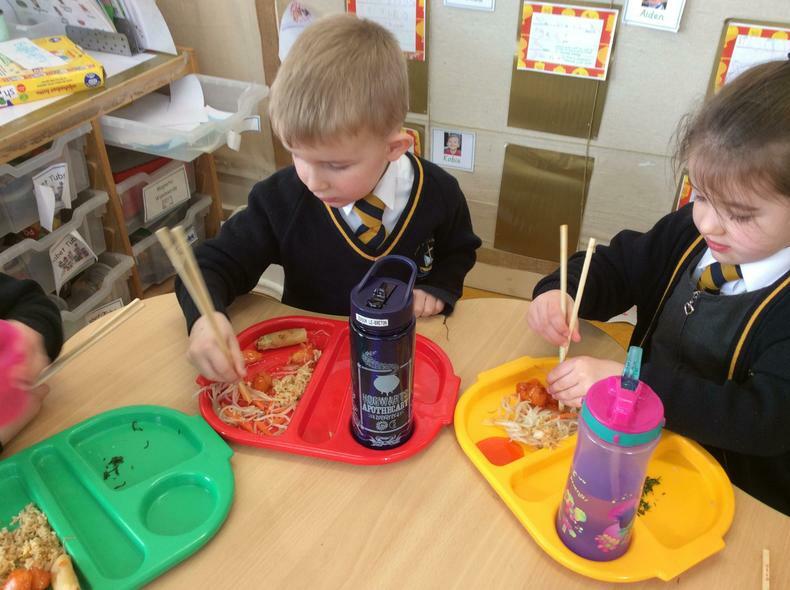 The children tried all sorts of food - noodles, bean sprouts, chicken balls, chicken Hong Kong style, spring rolls, seaweed and prawn crackers. 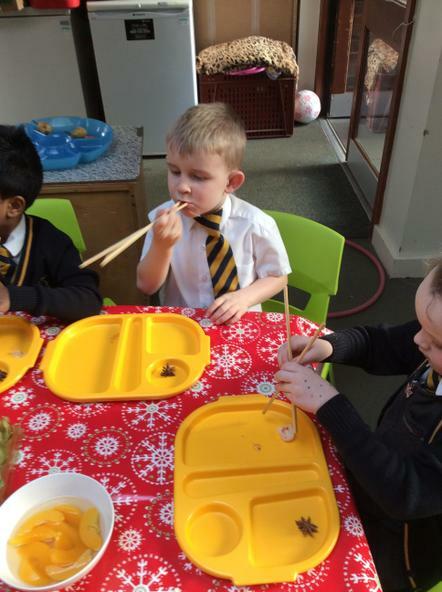 We finished our meal with fortune cookies. 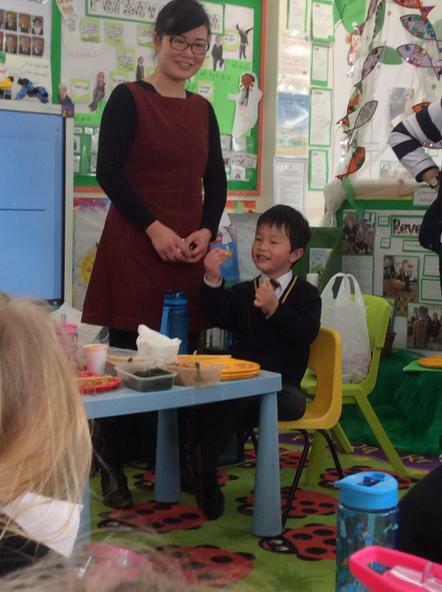 Mr and Mrs Wang were so kind with their kind gift of the meal we shared. 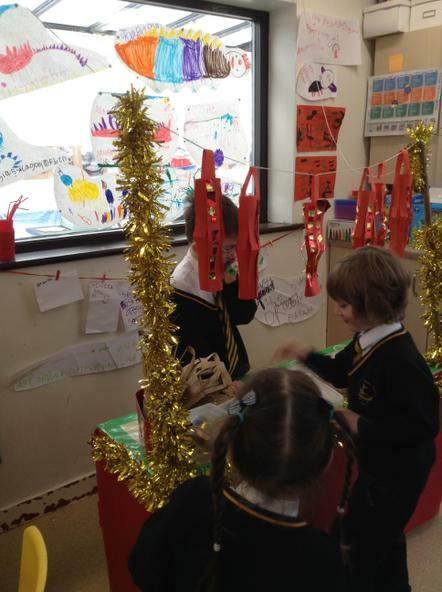 Everyone loved it - we had such a special afternoon. 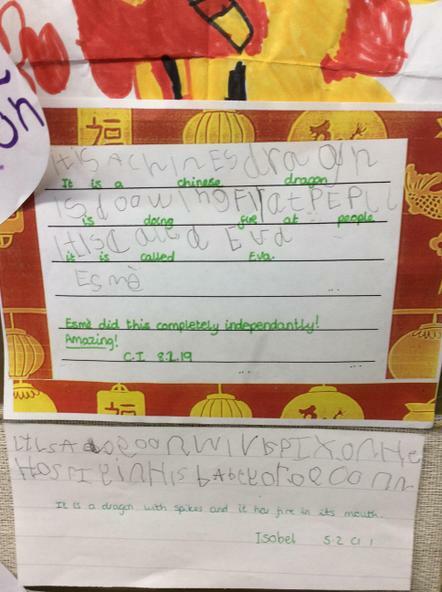 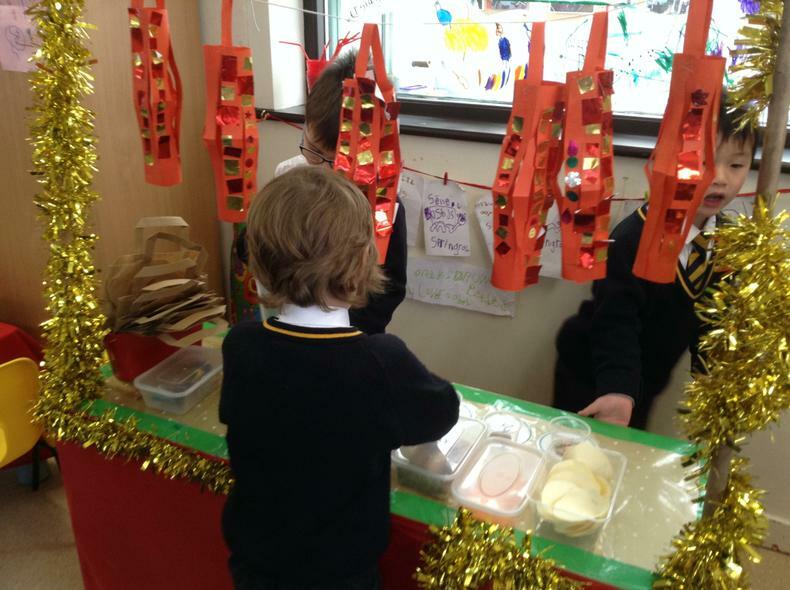 With Mrs Wang's visit, we made our classroom shop into a Chinese takeaway. 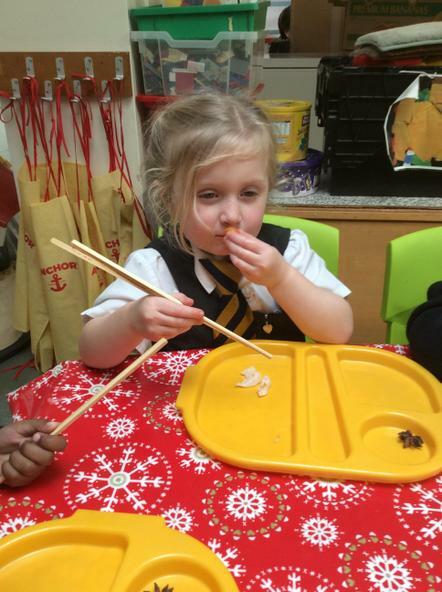 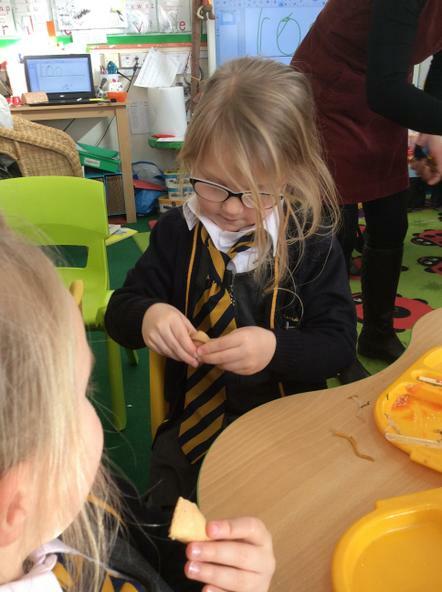 The children made their own prawn crackers, seaweed and spring rolls! 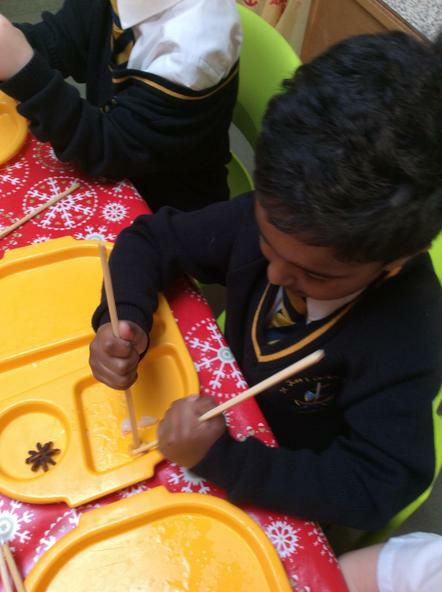 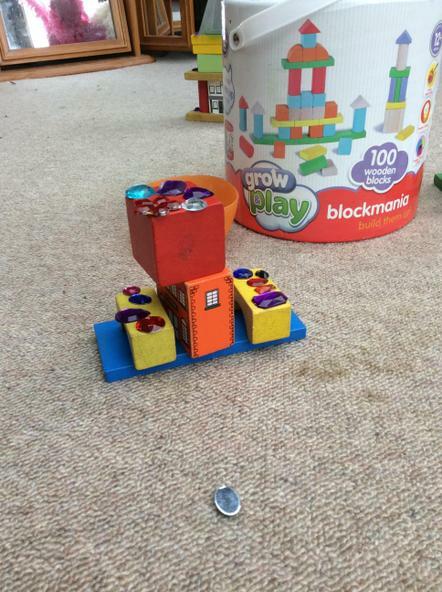 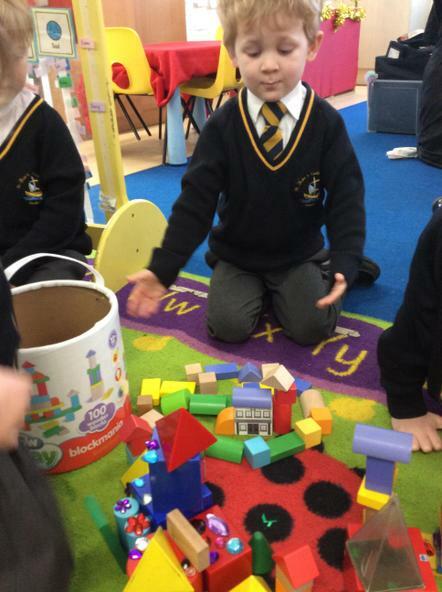 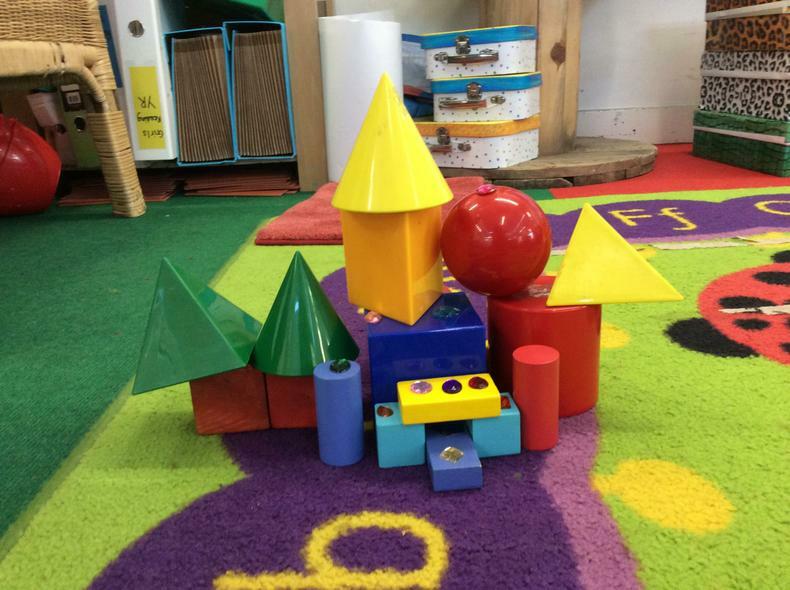 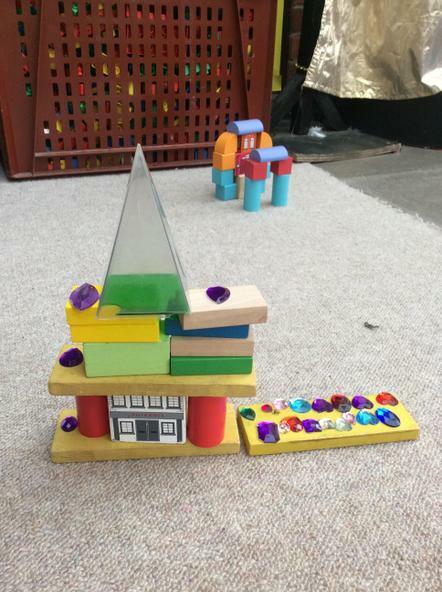 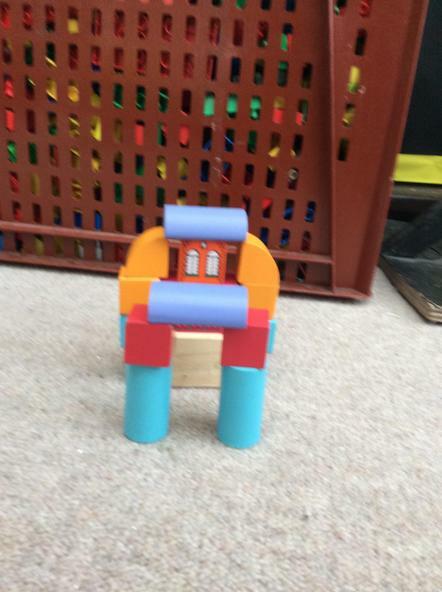 As we have been learning about 3D shapes it was a great opportunity for the children to look at some pictures of traditional Chinese buildings and make their own. 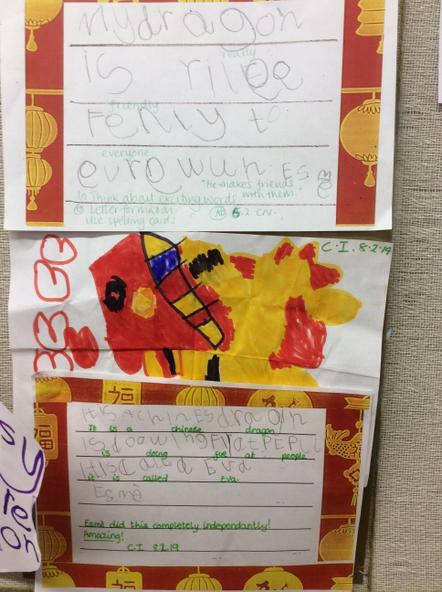 We read lots of different books together about Chinese New Year celebrations and the story of the great race and how the order of the animals was decided. 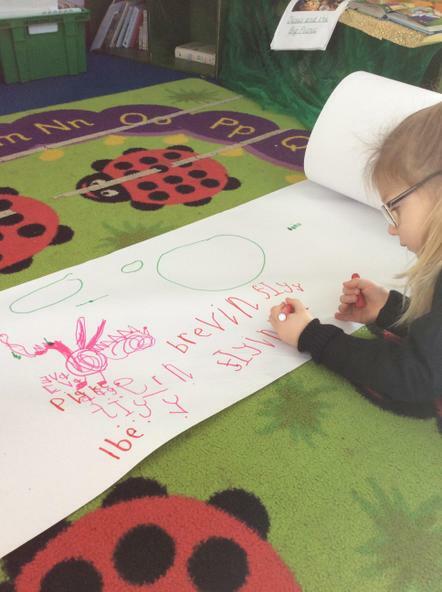 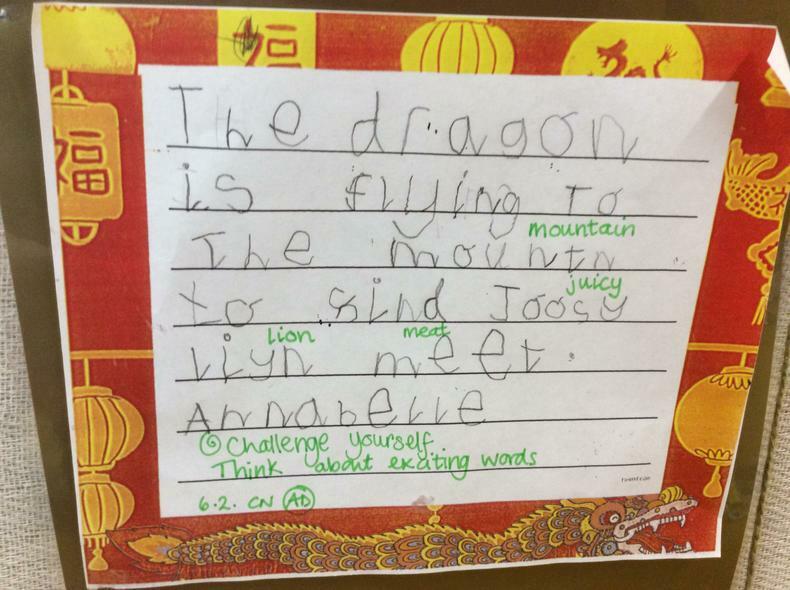 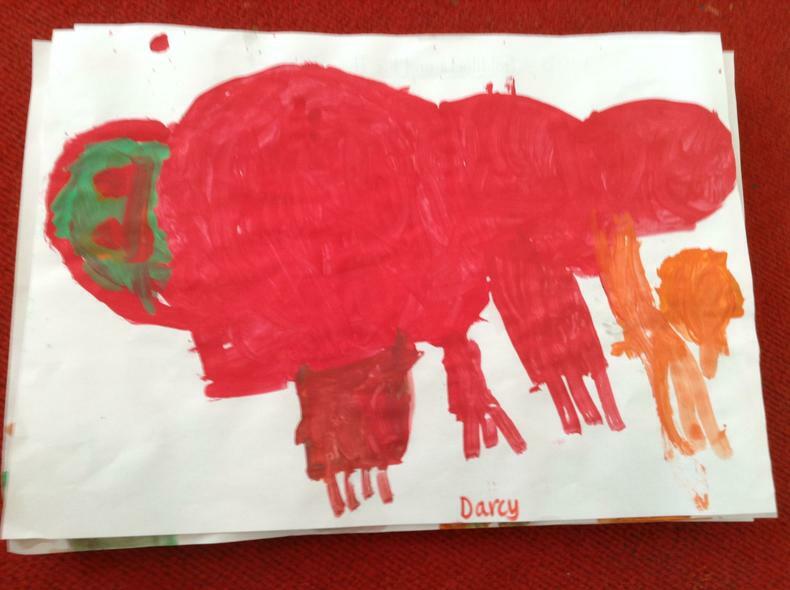 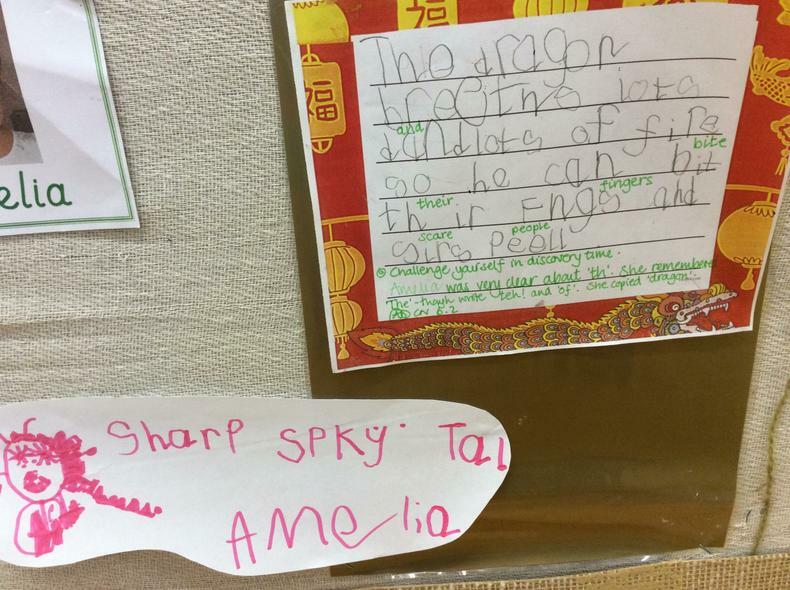 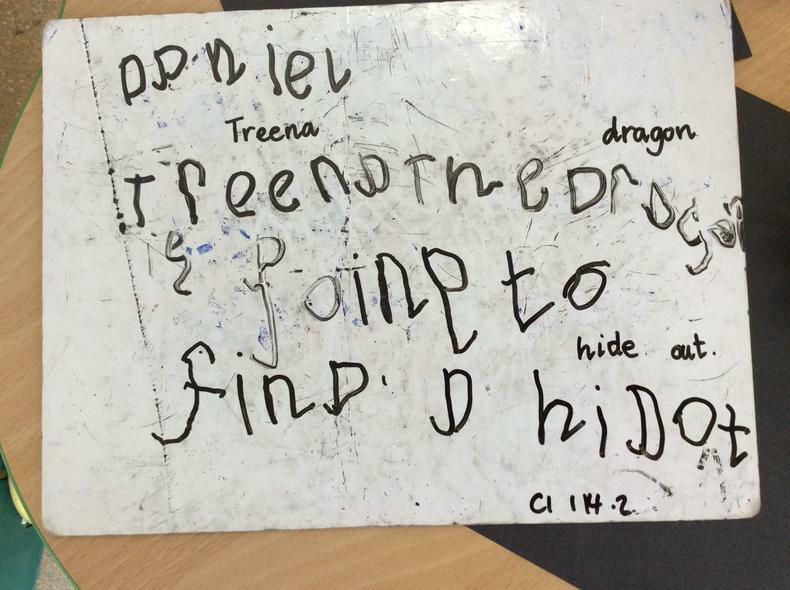 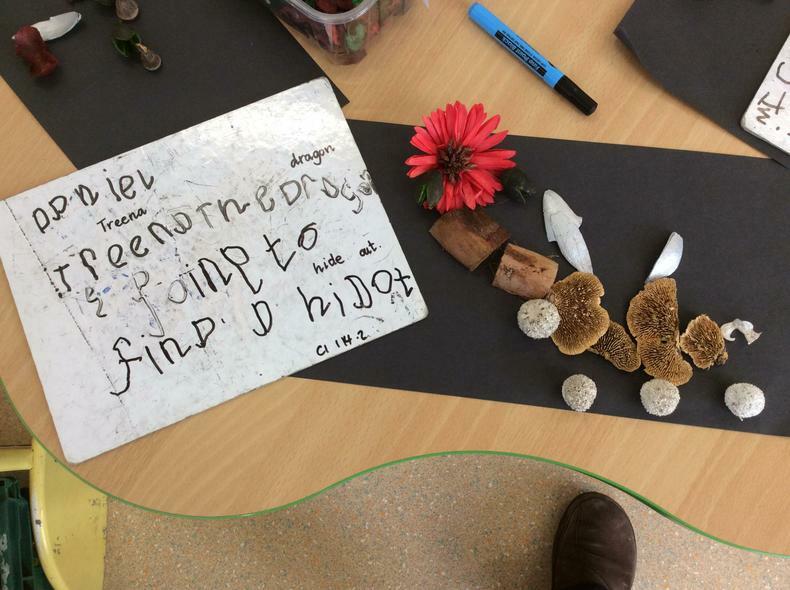 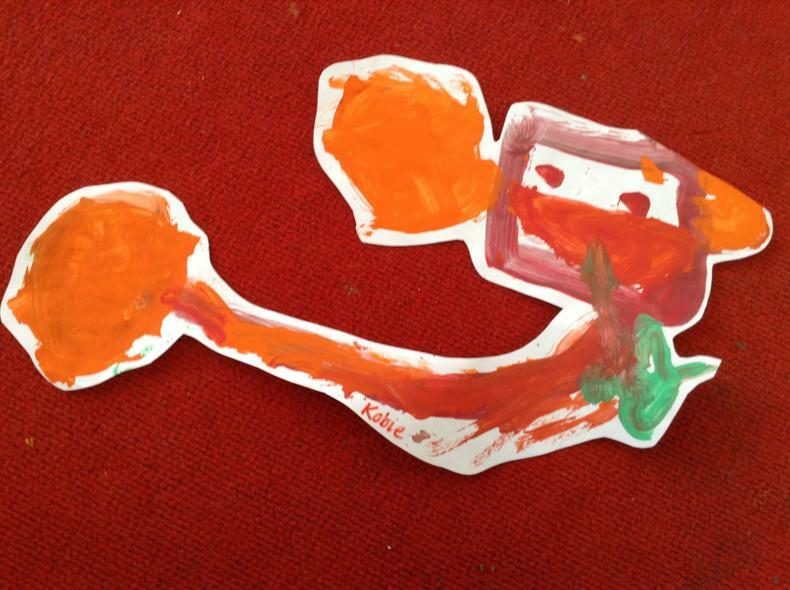 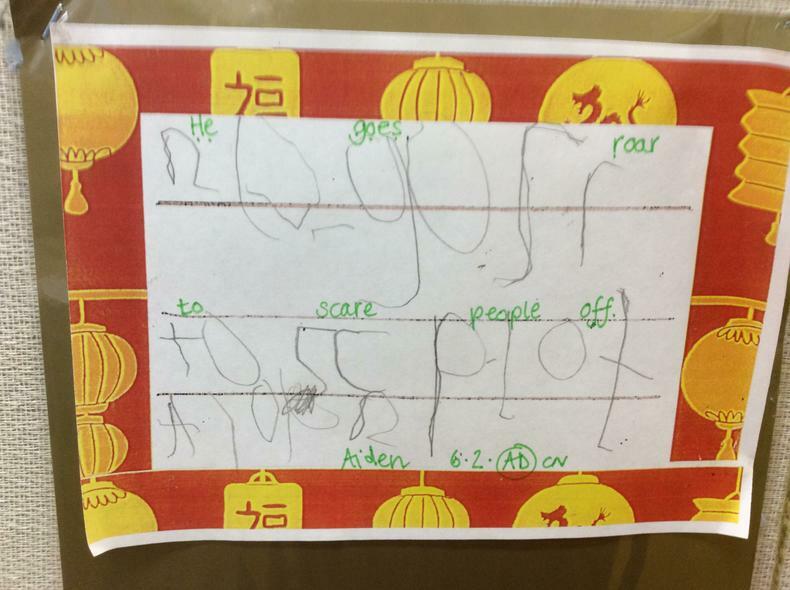 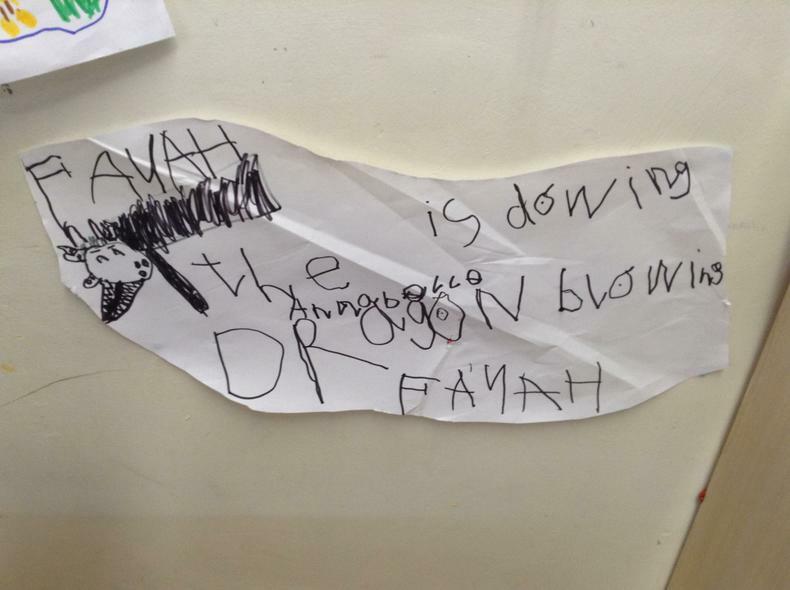 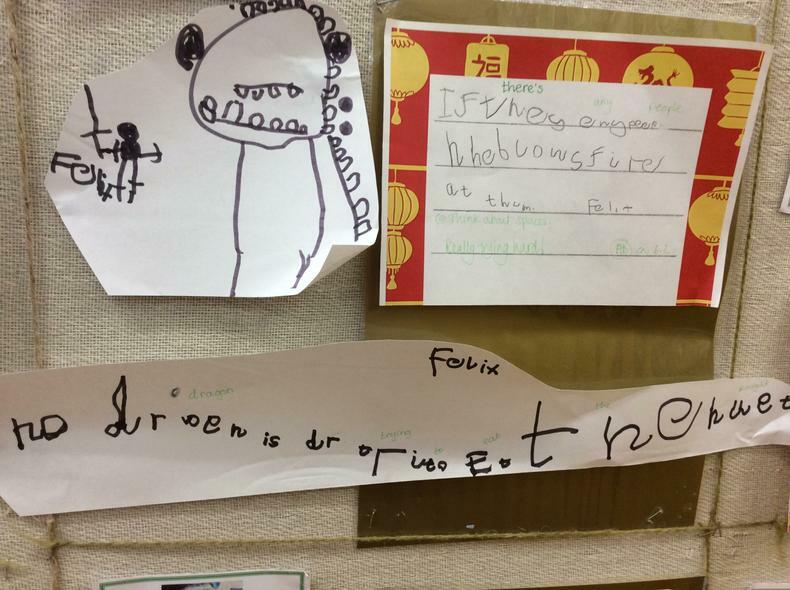 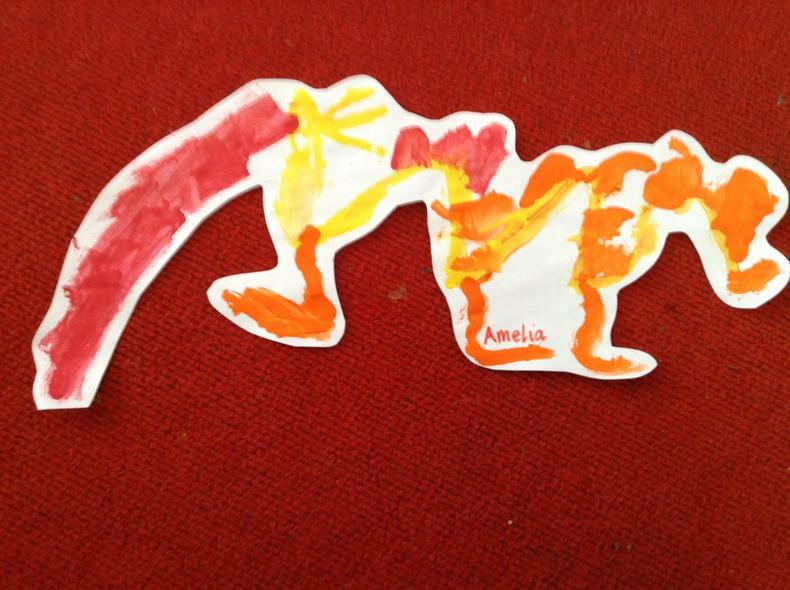 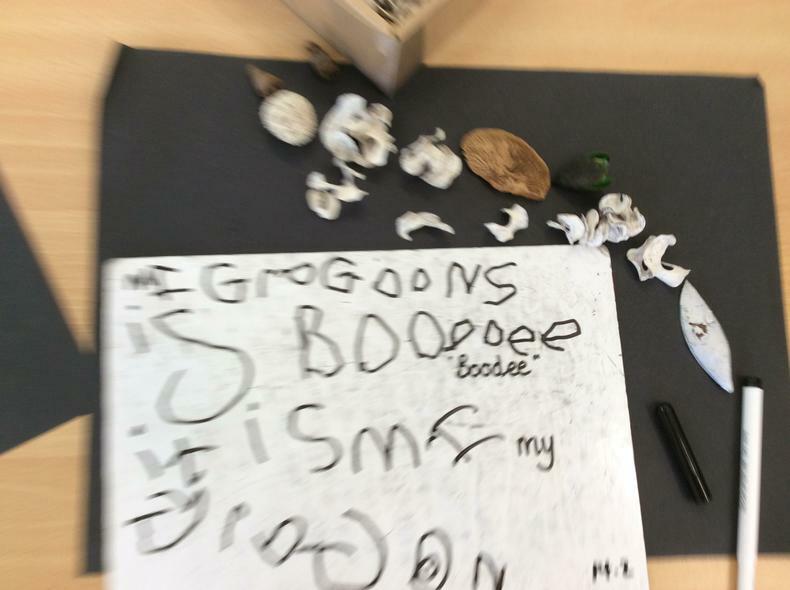 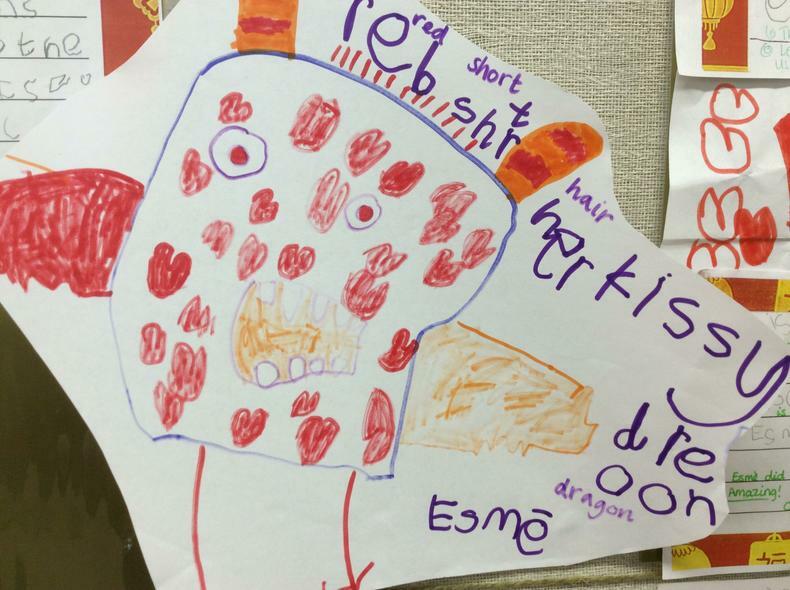 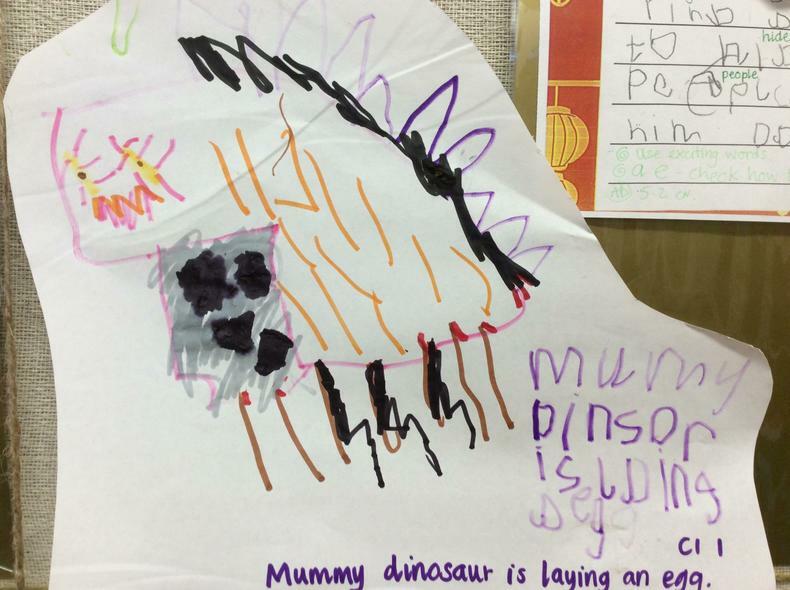 The children made up their own stories around dragons. 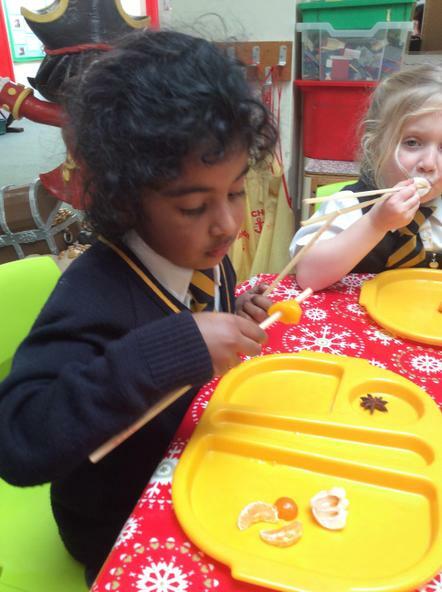 As the half term came to an end, we had an extra celebration with a very special Fruity Friday - we made it into a Chinese fruity feast with lots of gold fruits. 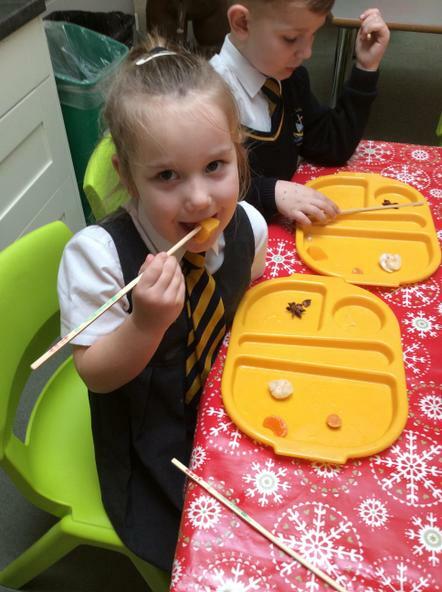 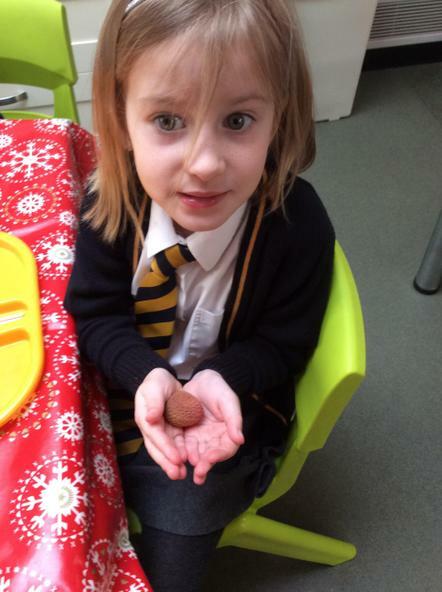 There were some different fruits which the children might not have tasted before - lychees, physallis and peaches. 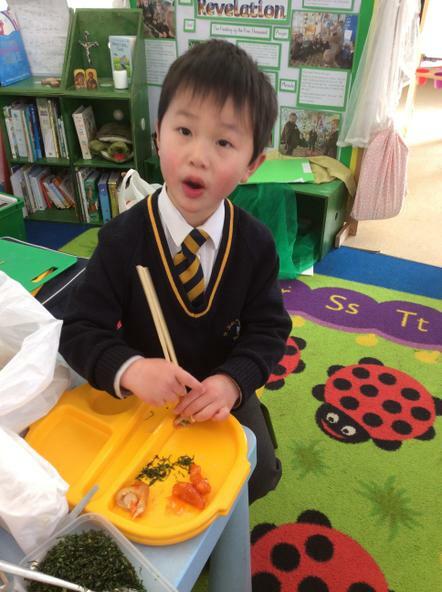 The children had to really take notice of what they ate - what did it look like? 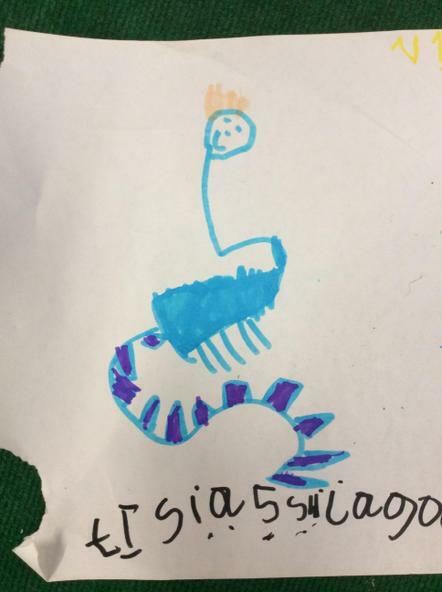 feel like? 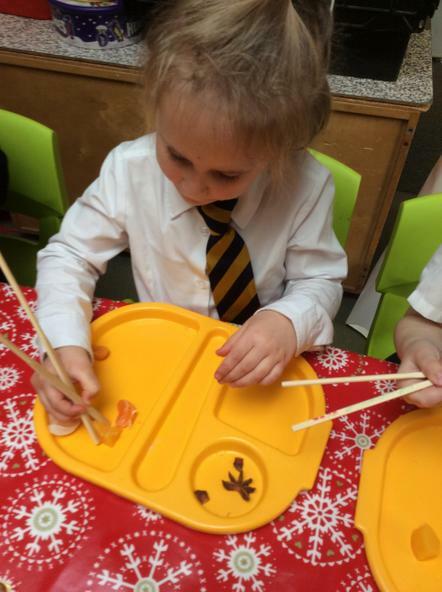 taste like? 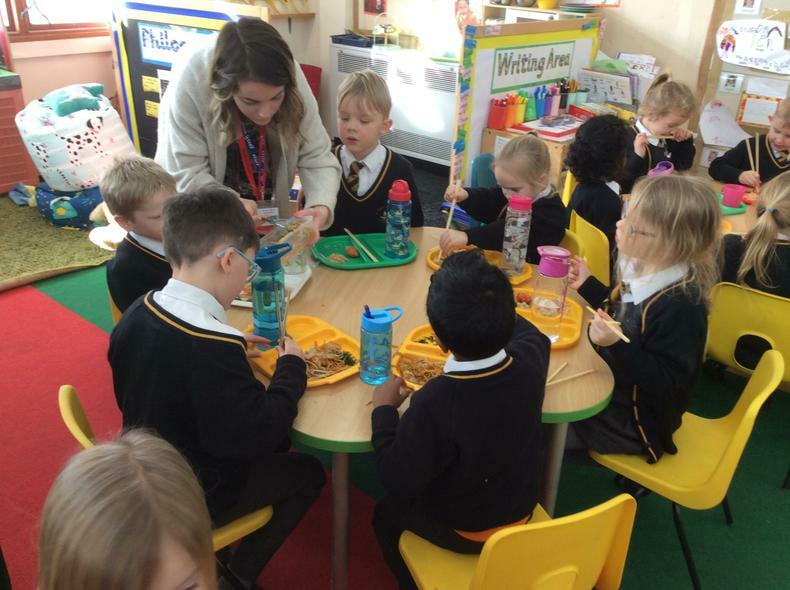 It was a great way to end the half term.